This blog post is the kick-off for a series of profiles that I will be doing on Penn Libraries staff and how their work coincides with the use of social media to reach patrons both traditionally (as in, in-person) and digitally (as in, via blogs, social media, websites, etc.). The Penn Libraries has been a personal, intellectual home for me over the last five years, and as I wrap up my time as a graduate student here, I hope to share with you some behind-the-scenes insight into the people and resources that have made it possible for someone like me–a non-traditional graduate student–to do the amazing work I’ve been able to do with social media and working directly with library patrons. My hope is that by the end of this short series, you will come to appreciate all the Penn Libraries has to offer its patrons, and share in my wonder that we have access to these space and resources. 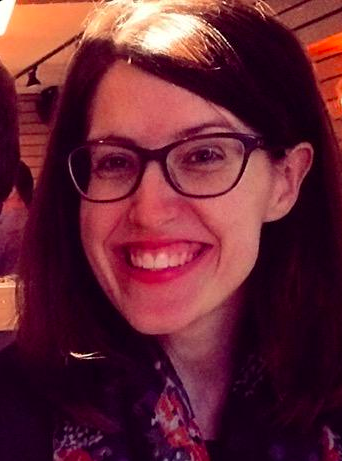 For the first blog post of the series “Social Media at Penn Libraries,” I’d like to introduce you to Sara Leavens, a recent addition to the Penn Libraries staff. Sara Leavens came to UPenn from the University of Kansas where she studied creative writing. Sara’s strengths lie in that she understands how to engage with students, faculty, and staff to make the resources available at the libraries more visible using social media and other forms of communications and marketing. Sara Leavens started at the Penn Libraries as Communications, Marketing, and Social Media Coordinator in 2015. Since Sara comes from a creative writing background, some of her role comes naturally to her! Sara has an MFA in Creative Writing and had originally planned on being a professor. However, she didn’t want to pursue a PhD, and with a technical communications background from her undergraduate work, she realized there was a need for social media at her academic department at the University of Kansas. Sara started the department’s Twitter and FB pages at the University of Kansas. Eventually, these pages became the most visited departmental pages at UKansas from 2013-2015. When Sara first started at the Penn Libraries as Communications, Marketing, and Social Media Coordinator in 2015, she found the libraries’ many social media accounts to be quite established. She described her first few months here as a “good will tour,” where she met with head librarians and directors of the 14 (!!!) libraries, to learn about their current social media management and future needs. From there, Sara went about the challenging and fun work of trying to ascertain and corral all of the social media accounts that each center and library had established for itself. In some cases, it took her as long as two years to hunt down and redirect some of the accounts! Centralizing communications and social media is a common trend being undertaken by many college and university campuses as they are starting to see social media less as a grassroots initiative and as more central to the branding and marketing of higher education to its most important audience: the students.